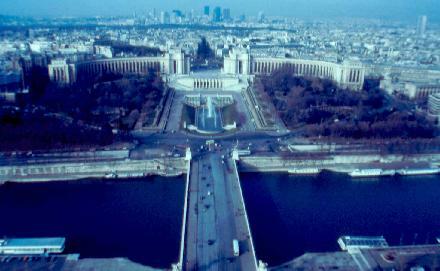 The second week in January, 1984 was spent in Paris, France. A great place to visit with all its history and great food. Several days filled with sight seeing, including the Louvre, eating great but expensive food, shopping, and a night at the Folies Bergere made for a memorable vacation. Here are but a few of the many pictures of this great city we took. 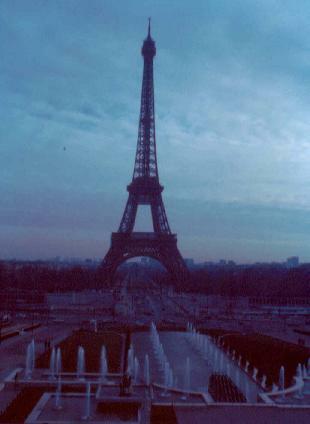 The Eiffel Tower from a distance. 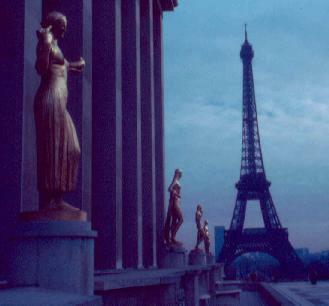 The Eiffel Tower with statues in forground. 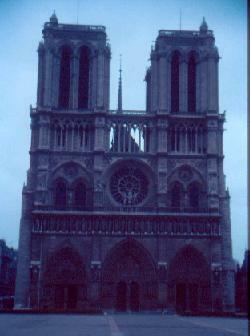 The Cathedral of Notre Dame from across the courtyard. 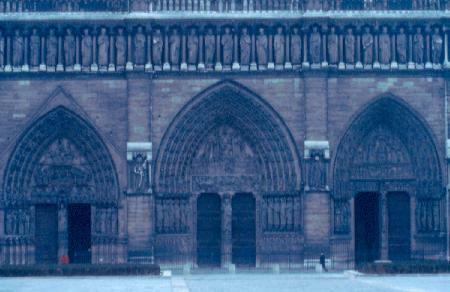 A closer view of Notre Dame showing the relative size of the statuary. 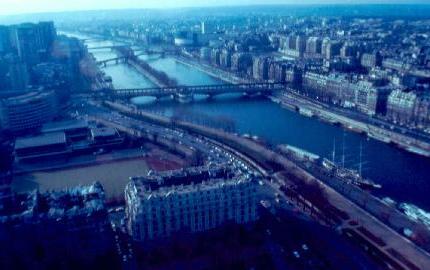 View of the city from the Eiffel Tower looking across the Seine. Same vantage point but looking down the Seine. 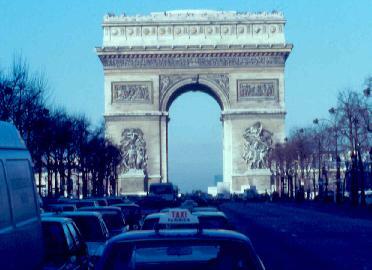 The Arch de Triump from the middle of the street.